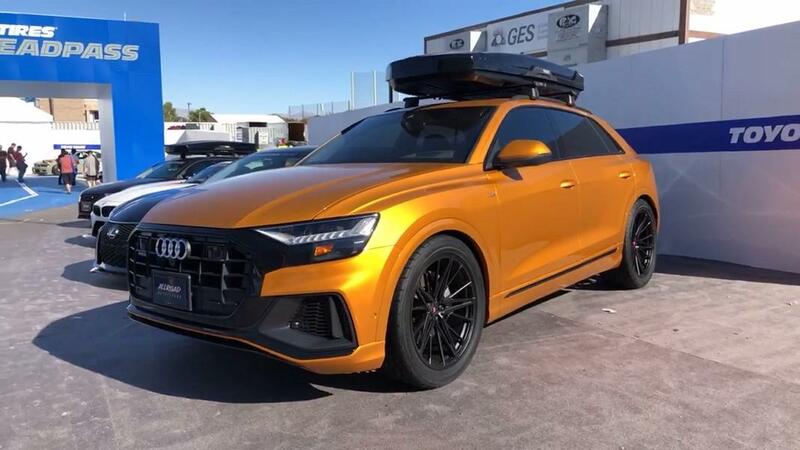 Tuners around the world keep releasing upgrades for the new Audi Q8. The example shown here is a work by Allroad Outfitters Inc. The car received a Halloween-themed orange-and-black paintjob with a pumpkin grin on the hood cover, a Thule roof box, and a set of designer-made wheels. More specifically, the team went for Vossen M-X6 21-inch wheels wrapped in Toyo tires. They also lowered the suspension, but whether any components got replaced in the process remains unknown.